One way for a home seller in New Orleans to close the deal quickly is to stage the home so buyers can picture it as their own. Unfortunately, staging a home can be expensive. The traditional, and often costly, process of selling a house through a realtor and waiting for a buyer to secure financing can work well for sellers who can afford the time and money to let the process play out. Many sellers are ready to move on from their home immediately, however, and may not be able or willing to wait for further investment in the past to pay off. Here are eight common obstacles that can get in the way of selling a house fast. Low interest rates helped the housing market recover from the Great Recession of 2007, Annalyn Kurtz reported in Fortune. But the central bank is preparing to hike rates more frequently in 2017, and buyers might hesitate to trade a low rate for a new mortgage as rates start to rise, preferring instead to sit tight at their current address. During the winter, there are historically fewer homes on the market and buyers may be more motivated. The month of May is widely considered to be the best time to sell a home fast, Rebecca Shapiro reported for The Huffington Post. But competition is likely to be much stiffer then, depending on where you live. A mistake many sellers make is to sign on with the wrong real estate agent. Working with someone who doesn’t have a lot of experience and may not appreciate your motivation to sell fast can seriously slow down the home-selling process. Realtors also don’t work cheap — most charge 5 percent to 6 percent of the sale price. Your agent should have the ability to expose your property to a wide number of prospective buyers through an established network with other buyers, sellers, and investors in your area. Accurate pricing is an absolute must if you want to sell a home quickly. Realtors who have thorough knowledge of your local market will typically have the ability to help you set a price for your home based on market conditions, the appraised value of your property, and how your home compares with similar properties in your area. Before you put your home up for sale, there are likely some repairs you need to make, even though it is discouraging to put money into a house that you don’t plan to live in much longer. Some repairs may be costly, such as replacing carpet, fixing a leaky roof, or upgrading the heating or cooling system. 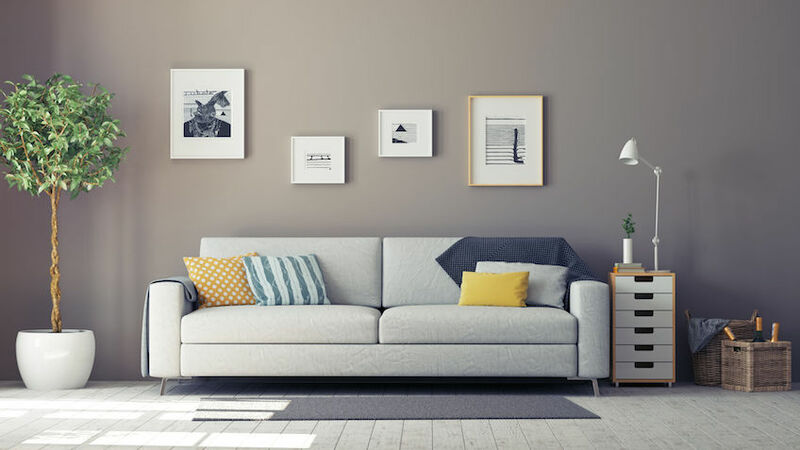 Staging a home for sale is challenging for many sellers, particularly if they have small children, if their lives are busy, or if they don’t have the money to hire a professional home stager. Although your home may be attractive and tastefully decorated and offer many features, staging a home means transforming it into a place that buyers can picture as their own, which can greatly accelerate a sale. When a prospective buyer wants to buy your home but does not have the cash on hand to do so, he typically is required to request a loan from a bank or mortgage lender. But if your home is priced higher than the appraised value obtained by the lender, that’s a big problem for you since the loan amount won’t cover your asking price. Hopes are often dashed when a buyer is motivated to close the deal as quickly as possible, but the mortgage application is not approved. Take heart: Pre-qualified buyers can be hard to come by, especially in tough economic times. If you are a homeowner in the New Orleans area looking to sell your home fast, preferably through a cash offer on the spot and a close within 30 days, Big Easy Buyers is here to help — immediately. Contact Big Easy Buyers at (504) 513-7878 or use the online form to set up an appointment today.